Spring might be the most looked forward to time of year here at FCA US LLC headquarters, and there is little mystery why. After the long Michigan winter it seems even the most resilient among us are ready for the thaw. This year there is double the reason to look ahead to the end-of-winter warm-up. 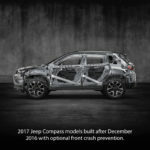 Scheduled to arrive in late spring is the All-New 2017 Jeep® Compass, the newest addition to the Jeep Brand lineup and one of its most exciting. 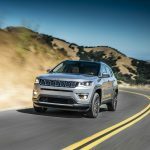 No doubt you’re going to see a lot more of the All-New 2017 Jeep Compass in coming months, particularly as spring rolls into summer and more vehicles roll off dealer lots and onto roads, two-tracks and trails across the country. 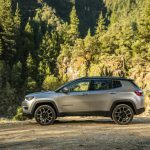 In the meantime, enjoy the two videos below, each one a closer look at the all-new SUV from the Jeep Brand. 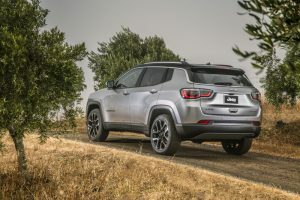 Description: Members of the Jeep design team take you through the inside story behind the premium, athletic exterior of the All-New Jeep Compass. Description: Get the inside story as the design and production teams work together to add a black roof – a bold, new visual statement – to the All-New 2017 Jeep Compass. 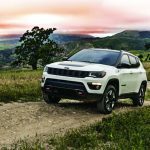 Keep an eye on this blog for more on the All-New 2017 Jeep Compass and the whole family of work-ready vehicles from FCA US LLC.